Price Drop! Was: $399.95 Now: $129.95. For a limited time only, while stocks last. 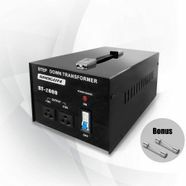 If you've ever been stuck with the wrong power supply for your appliances, than check out this new 2000W Step Down Transformer/Voltage Converter! This electrical transformer comes with a fuse protector, and 2 110 volt output sockets. It's suitable for most 2 and 3 pin plugs, so if you've purchased an electrical device or appliances while you were out of the country, don't worry because this voltage converter will change 240 volts to 110 volts, depending on your needs. This easy to use voltage transformer is an affordable way to use those appliances that don't fit your plugs. 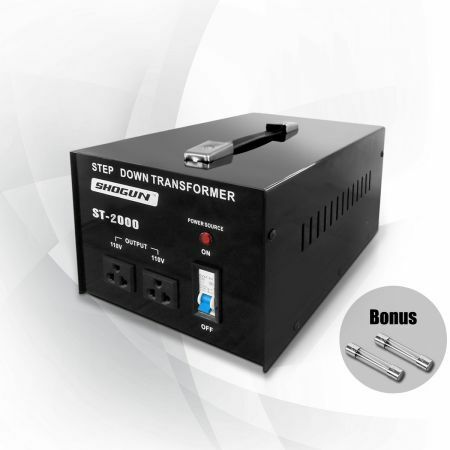 Always be prepared, and always keep the power on and order your 2000W Step Down Transformer/Voltage Converter today!